U.S. President Barack Obama and Canadian Prime Minister Justin Trudeau are set to announce Thursday during a state visit to the White House an expansion of the pre-clearance U.S. Customs travel program inside Canada. 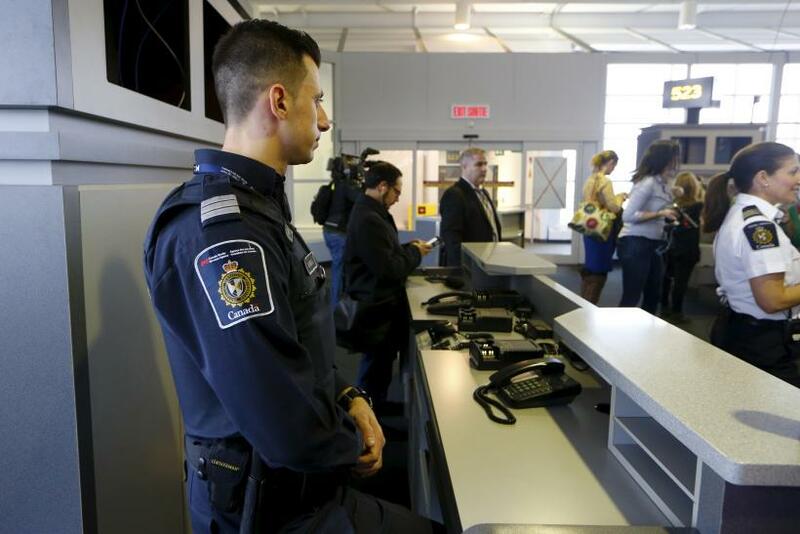 The scheme, which allows travelers to go through U.S. Customs prior to leaving Canada to save time, will add to the nine locations already using the program in Canada and open up travel routes to U.S. airports that don't currently allow international flights to land. The new routes will include Billy Bishop Toronto City Airport, Quebec City's Jean Lesage Airport and those traveling from Montreal's central train station, according to a CBC news report. There is also expected to be an announcement that cargo inspection rules will be relaxed, but full details have not yet been released. The announcement is an attempt to make travel between the two countries much easier, although U.S. officials have said that they will require far more information on travelers crossing the huge Canada-U.S. border to better combat the threat of terrorism. "I think from the American perspective, frankly, our concern is not that there is too much [information], but that at times there's been too little," Obama's national security advisor Susan Rice said in an interview with Peter Mansbridge Wednesday. "We must do [this] to ensure that what has transpired on 9/11, what transpired in Ottawa, or in San Bernardino, is not a day-to-day occurrence in our countries." In 2011, the Stephen Harper-led Canadian government signed an initiative that would enable a coordinated entry and exit program with the U.S. The plan was supposed to go into action in June 2014, until Canada’s privacy commissioner stalled it due to privacy concerns and issues around sharing misleading information. For example, critics raised the case of Syrian-born Canadian Maher Arar, who was returning to Canada from a family vacation in Tunisia when he arrested at JFK Airport and held for nearly two weeks in solitary confinement, despite holding a Canadian passport. Using misleading information from the Royal Canadian Mounted Police, Arar was accused by U.S. security officials of being a member of Al Qaeda and was deported to Syria, where he was imprisoned and tortured for a year by President Bashar Assad’s military. Canada was later able to secure his release and bring him home. "Yes, there's been individual incidents that have been problematic or regrettable," Rice said when asked about the Arar case. "But in general, as two democracies committed to the protection of rights and liberties … we think that we have to get the point where we can find the ways and means of sharing information while protecting it."